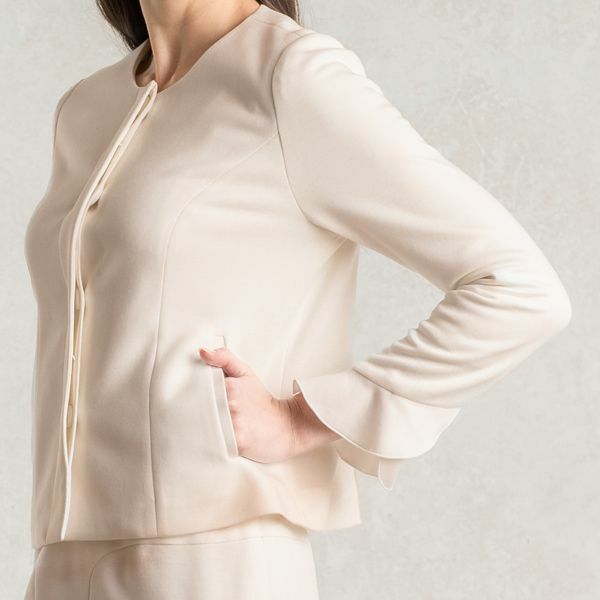 Our stretchy jacket with frill design at the sleeve cuffs adds flair to each movement you make. Chic and comfortable, this jacket is also washable at home. The statement design of this jacket makes it the perfect piece to wear for an array of occasions. A high-quality material created with a blend of wool and polyester, making for the ideal blend of both softness and practicality. The two layers of fabric are sewn together, and air is added between them so it is both warm and lightweight, and perfectly voluminous. The paneling of this item not only gives the body a beautiful silhouette, but it also makes it easier to move in. 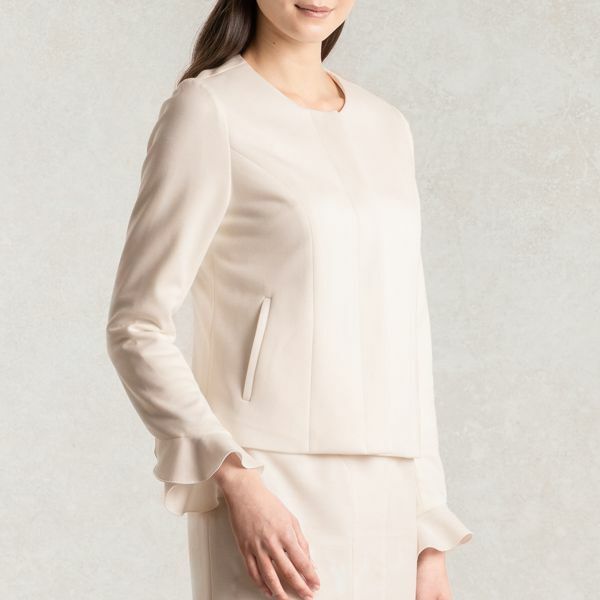 The frills at the bottom of the sleeves give the jacket a touch of femininity. With each hand movement you make, you are sure to attract the attention of everyone around. Enjoy as an ensemble paired with the matching skirt. 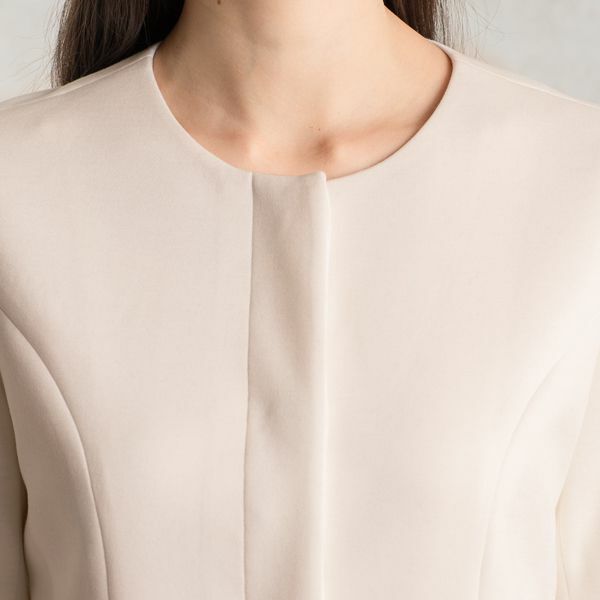 We also recommend pairing this piece with a printed dress. The statement design of this jacket makes it the perfect item to wear for an array of occasions.